Goodbye freedom. After more than a month on the lam, the second escaped capybara has been found and returned to Toronto's High Park Zoo. Goodbye freedom. After more than a month on the lam, the second escaped capybara was found in a trap Tuesday morning and returned to Toronto's High Park Zoo. Bonnie and Clyde, as the city and some of the world came to call them, managed to avoid the tragic end of their namesakes and are now both safe and sound, according to Toronto's parks department. One of the capybaras was captured on June 12, after several sightings in preceding days. So how was the other elusive furry fugitive caught today? "We actually got a phone call from a resident at about 7 a.m. saying come and get your capybara," said Megan Price, spokeswoman for the city's parks department. Price said staff opened the trap near Grenadier Pond at about 6 a.m. just like they've been doing every day and about an hour later, there the rodent was. If you're wondering why this wasn't a 24-hour operation, Price says the trap wasn't left open overnight because capybaras aren't nocturnal and they knew they'd just end up catching a bunch of raccoons that way. Capybara number 2 is now at the zoo waiting to get checked out by a vet and then once it's calmed down, Bonnie and Clyde will be reunited, Price said. The two furry fugitives escaped from the zoo during a transfer on May 24, making international headlines and teaching us all more than we probably ever thought we'd know about the rodents of unusual size. 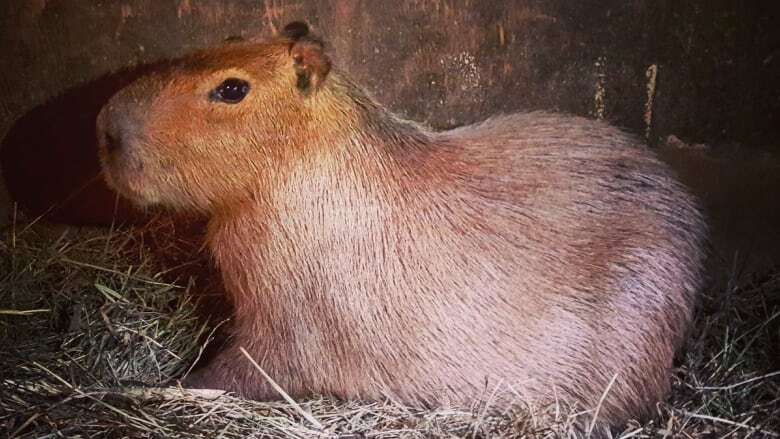 The parks department welcomed the second capybara home in a tweet Tuesday morning and closed the case on the runaway rodents.